Computer Vision is the science to give human sense to a machine or computer. Computer Vision is concerned with the methods for acquiring, processing, analyzing and understanding digital images, and extraction of high-dimensional data. 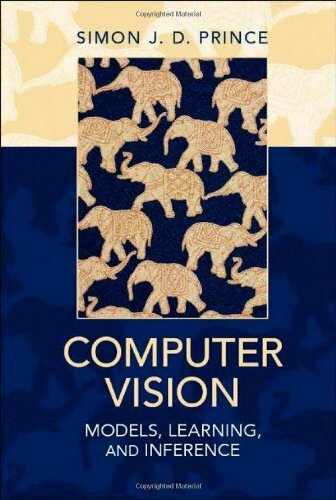 Here you will get the best computer vision books. This book is a comprehensive guide for various techniques commonly used to analyze and interpret images. 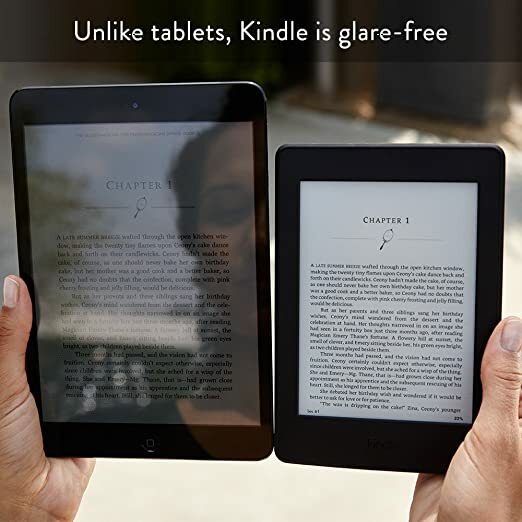 It also describes challenging real-world applications where vision is being successfully used. You will get a scientific approach to basic vision problems. Able to analyze problems using statistical models and solved using rigorous engineering techniques. This book focuses on basic techniques that work under real-world conditions and encourages students to push their creative boundaries. 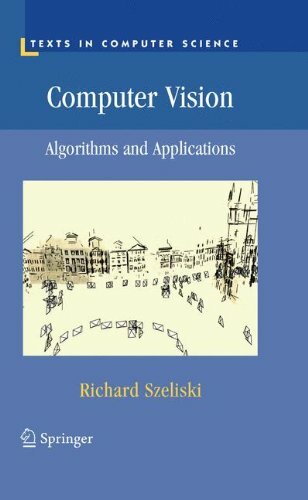 'Computer Vision Algorithms and Applications" is a unique reference to the fundamental techniques and current research literature in computer vision. 'Computer Vision Models, Learning and Inference' focus on learning and inference in probabilistic models as a unifying theme. This book describes more than 70 algorithms in sufficient detail to implement. How to use training data to learn the relationships between the observed image data and the aspects of the world. You will learn the basics of probability and model fitting. This book describes a detailed methodological presentation. Learn, the common basis for solutions of important computer vision problems. Discover, more than 350 full-color illustrations amplify the text. 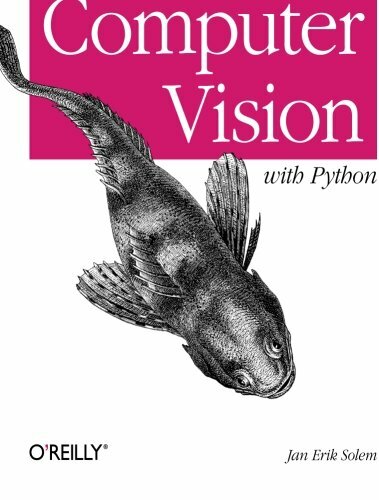 'Programming Computer Vision with Python' explains computer vision in broad terms with full of practical experience and examples. 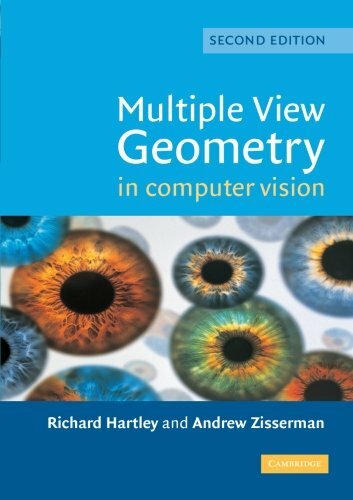 If you want a basic understanding of computer vision’s underlying theory and algorithms then this book is an ideal place to start. This book is ideal for students, researchers, and enthusiasts with basic programming and standard mathematical skills. You will learn techniques for object recognition, 3D reconstruction, stereo imaging, augmented reality, and other computer vision applications. Able to access the popular OpenCV library through a Python interface. Learn how to use algorithms to classify image content and recognize objects. 'Computer Vision with Python' shows you how to organize images based on similarity or content, using clustering methods. Build efficient image retrieval techniques to search for images based on visual content. You will also learn techniques used in robot navigation, medical image analysis, and other computer vision applications. Understanding the structure of a real-world scene is a common problem in computer vision. This book describes relevant geometric principles and how to represent objects algebraically so they can be computed and applied. This book describes the developments theory and the practice of scene reconstruction in a unified framework. How to apply the methods and implement the algorithms. Learn, camera projections and auto calibration. You will able to learn Projective Geometry, Transformations and Estimation. Discover, algorithm evaluation and error analysis. 'Arduino Computer Vision Programming' is a beginner guide for readers who want to learn computer vision programming with Arduino to create intelligent systems. 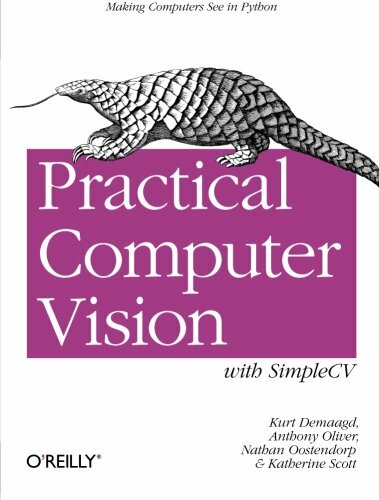 No knowledge of computer vision programming is required for reading this book. 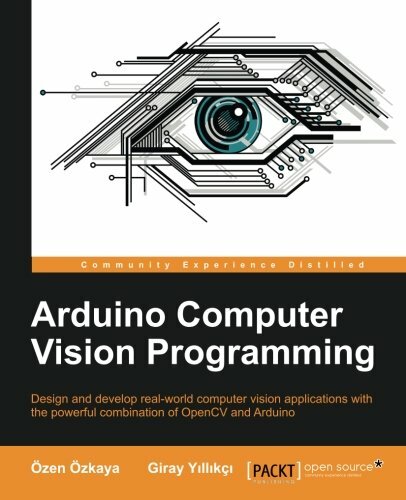 The purpose of this book is to teach you how to develop Arduino-supported computer vision systems that can interact with real life. You will learn design blocks and the generic architecture of computer vision systems. How to load and run the applications in Arduino to develop intelligent systems. Able to learn how to use Arduino to elegantly interact with real life via physical actions. Develop your skill set of computer vision system design using OpenCV. Explore the best practices of computer vision development including state of the art algorithms and hands-on example projects. Learn the wired and wireless communication capabilities of Arduino. Practical Computer Vision' introduces you to basic CV techniques for collecting, processing, and analyzing streaming digital images through examples of real-world applications. How to manipulate images by performing basic arithmetic on pixel values. You will learn how to build your own computer vision (CV) applications quickly and easily with SimpleCV, an open source framework written in Python. Able to learn about optical flow to identify objects that change between two image frames. Apply different methods with SimpleCV, using sample Python code. This book shows you how to use SimpleCV’s command line and code editor to run examples and test techniques. You will also learn feature detection techniques to focus on interesting parts of an image. 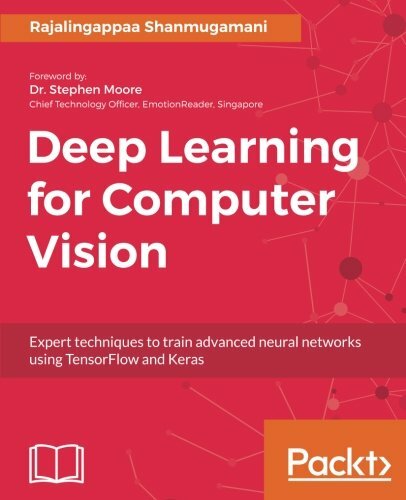 This book is a useful guide for data scientists and Computer Vision practitioners who wish to apply the concepts of deep Learning to overcome any problem related to Computer Vision. A basic knowledge of programming in Python and some understanding of machine learning concepts-is required to get the best output of this book. You will learn how to model and train advanced neural networks to implement a variety of Computer Vision tasks. Understand the concept of generative models and use them for image generation. How to set up an environment for deep learning with Python, TensorFlow, and Keras. Deploy your deep learning models and optimize them for high performance. This book describes various problems in image captioning and learns, how to overcome them by training images and text together. You will able to implement similarity matching and train a model for face recognition. Understand and implement object detection using the real-world Pedestrian Detection scenario. 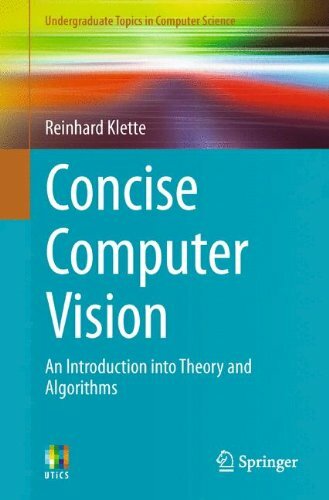 'Concise Computer Vision' provides an accessible general introduction to the essential topics in computer vision. Classroom-tested programming exercises and review questions are also supplied at the end of each chapter. This book provides an introduction to the basic notation and mathematical concepts for describing an image. You will learn how to map an image into an image. Describes special approaches for image binarization and segmentation of still images or video frames. 'Concise Computer Vision' includes a discussion of stereo matches and the phase-congruency model for image features. Learn, optic flow for representing dense motion and various topics in sparse motion analysis. Able to learn the basic components of a computer vision system. 'Photogrammetric Computer Vision' offers a statistical view on the geometry of multiple view analysis, required for camera calibration and orientation and for geometric scene reconstruction based on geometric image features. 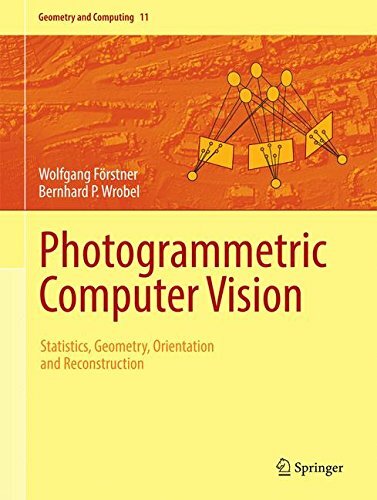 This is the first book which combined photogrammetry and computer vision. This book provides an introduction to estimation theory.covering aspects such as Bayesian estimation, variance components, and sequential estimation. Learn, 2D and 3D geometric reasoning using projective geometry. You will learn how to modeling the geometry of single and multiple cameras, addressing calibration and orienta­tion. 'Photogrammetric Computer Vision' includes numerous figures and exer­cises. It also provides algorithms for various geometric computa­tion problems in vision metrology. 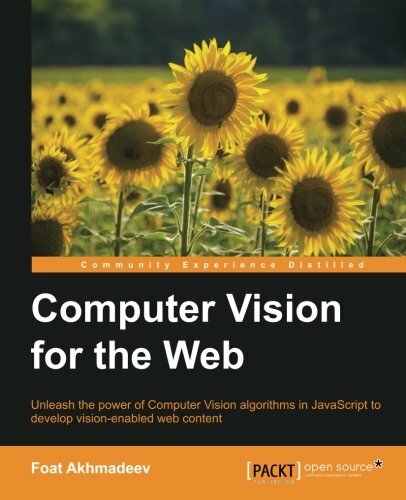 By reading 'Computer Vision for the Web' book you will able to explore the exciting world of image processing, and face and gesture recognition, and implement them on your website. This book is an easy-to-follow project-based guide that throws you directly into the excitement of the Computer Vision theme. Learn how to apply various image filters to images and videos. Understand when and why you should use different computer vision methods. You will learn how to recognize and track many different objects, including face and face particles using powerful face recognition algorithms. Discover ways to control your browser without touching the mouse or keyboard.